A few months later Ronny attended a workshop run by KDT196. 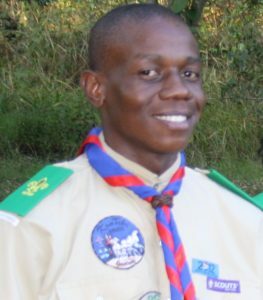 “As a member of my Scout Group I got to see the passion of the other leaders and what was possible through Scouting. 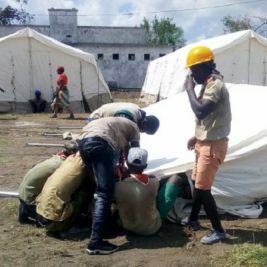 When a fellow Scout pointed out that at my age I had fantastic leadership abilities, my confidence grew. So much so, that I knew what my purpose was. I wanted to have a positive impact on the lives of others. I had completely turned my life around. No more rebellion, no more desire nor time for negative things. 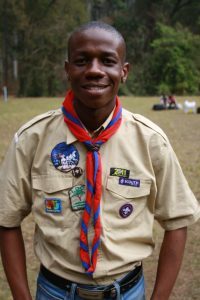 I was a Scout, I had put the Scout Laws in my heart and was determined to practice them in my everyday life”, explains Ronny. “Even though my parents were both uneducated, I was excelling academically. My mother was unemployed and my father worked at a car wash, the whole household depended on his car wash salary. I was about to write my Matric and KTD196 as well as Andrew and Sheila Tanner were so supportive! Sheila used to cut out the sample Matric questions from the newspapers and post them to me so I could prepare. I was doing physical science on higher grade and was the only person in my class that passed in 2007. It was during this time that I won the World Youth Community Building Award from Oxfam International. I was nominated by Louise from KDT196 for the work I was doing through the SCOUTS SA HIV programme in my community and was able to receive the award in Delhi in India. Ronny currently works as an IT Support Administrator for MMI Holdings (Momentum) – Life Insurance Solutions, Fastlane division. “I am currently doing my Bachelor’s Degree in IT Support Services, which I will be completing next semester.